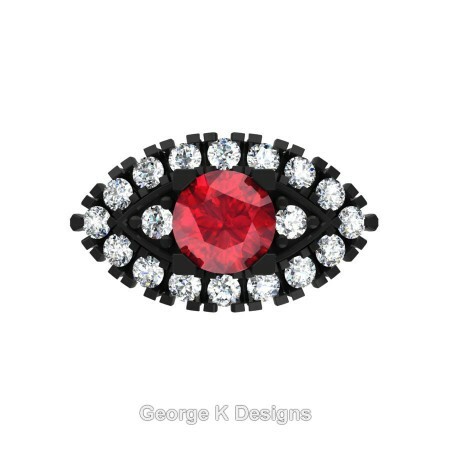 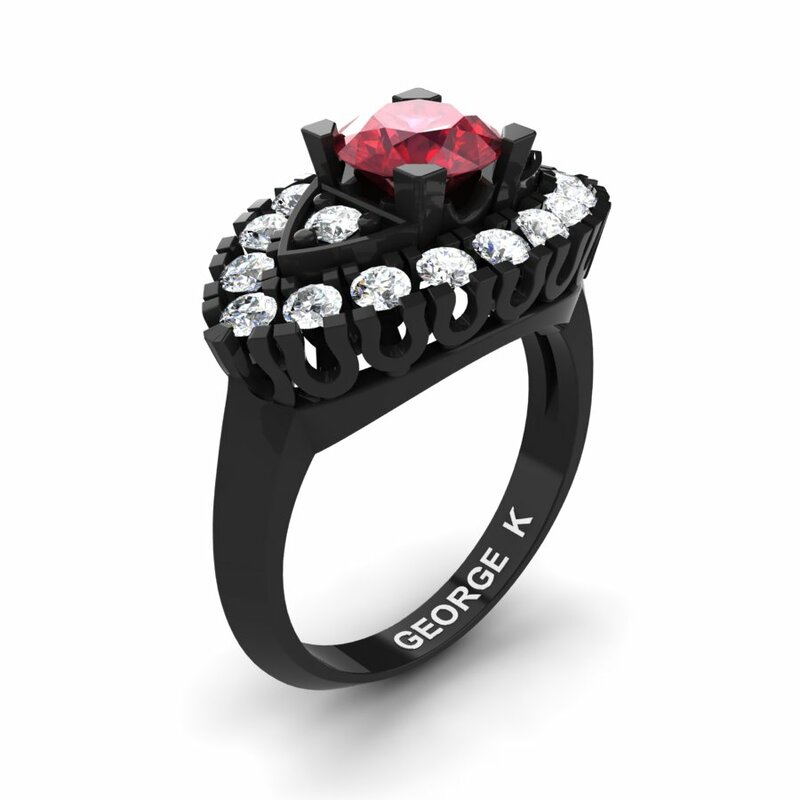 Delighting and divine, this French 14K Black Gold 1.0 Ct Ruby Diamond Marquise Eye Wedding Ring R409-14KBGDR by George K Designs evokes luxury and elegance. 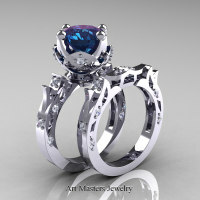 Behold the beauty and spectacular style. 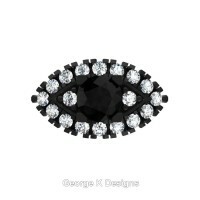 Black gold (black rhodium coat on 14K white gold) wears off in few weeks to few months and is applicable any number of times. 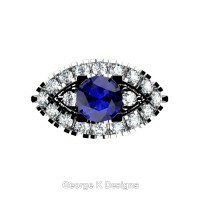 * All precious metal and gemstone measurements and totals are approximated by production manufacturing computers and may differ slightly. 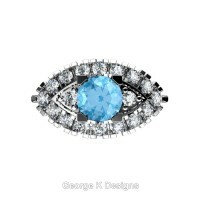 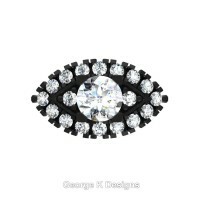 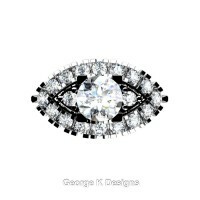 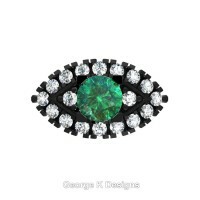 * Gemstone settings in pave, prongs, bezel, channel or invisible may differ slightly as the stones are set by a master hand. 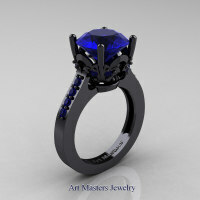 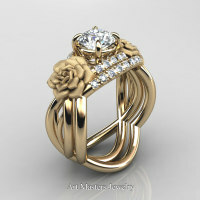 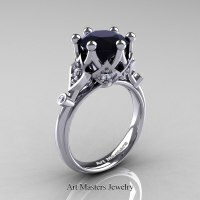 * All jewelry images are professional catalog renderings generated by production imaging computer in 3d and are not real photographs, it’s visual perceptions may differ slightly by screen type and resolution. 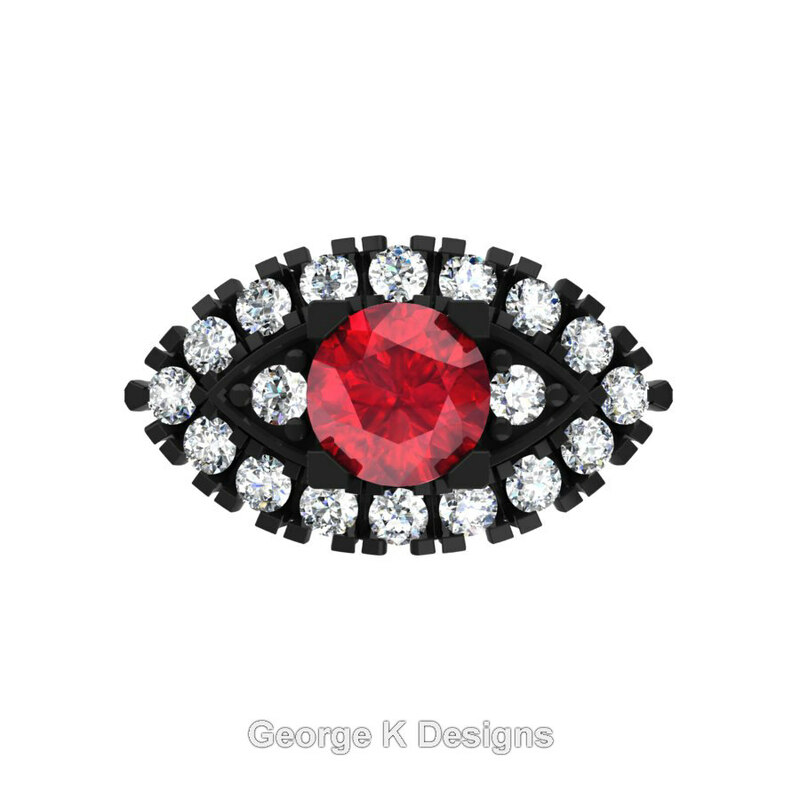 Be the first to review “French 14K Black Gold 1.0 Ct Ruby Diamond Marquise Eye Wedding Ring R409-14KBGDR” Click here to cancel reply.